With one of the longest seasons of any ski area in Colorado (the first to open this year), and some of the shortest lift lines, Arapahoe Basin (A-Basin) is where the locals go when they’re skipping class. Adventure is around every corner—the super-steep Pallavicini run, rugged back-bowl skiing, plenty of chutes and glades. But while you can certainly track down adventure on this mountain, there’s an easy, comfortable vibe that offsets the extreme here. 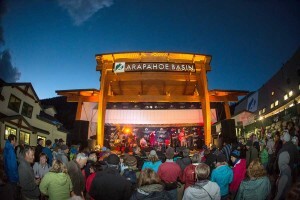 Affordably delicious food and famous après-ski cocktails are a tradition at the base, as is the infamous springtime “beach” area, where you can roll right up and barbecue out of the hatchback and listen to tunes at the stage. Families, too, appreciate the access and simplicity of this downhome hill. To celebrate its 70th anniversary this season, A-Basin has continued to renovate buildings in the base area and has upgraded skier services, expanded the Arapahoe Sports gear shop, and improved outdoor seating and viewing areas for the music stage. Aspen Snowmass is a tricky label. There are actually four mountains—Aspen Mountain, Aspen Highlands, Buttermilk and Snowmass—in this slick set near the iconic enclave known for its rich and famous inhabitants. Variety adds some serious spice to life here, with Aspen Mountain enduring as a true townside treasure that serves up some steep terrain and instant access to après-ski. Both Highlands and Buttermilk deliver a nice mix of beginner and intermediate terrain for newbies, families and skiers looking to advance their skills in a safe environment. Snowmass has a little of everything, but is best known for its big-mountain, backcountry-like terrain where even experts can push the limits of snowsports. This winter, cozy up to a new bar at Gwyn’s High Alpine Restaurant in Snowmass, which underwent a renovation that also added a wood-burning fireplace and big-screen TVs. 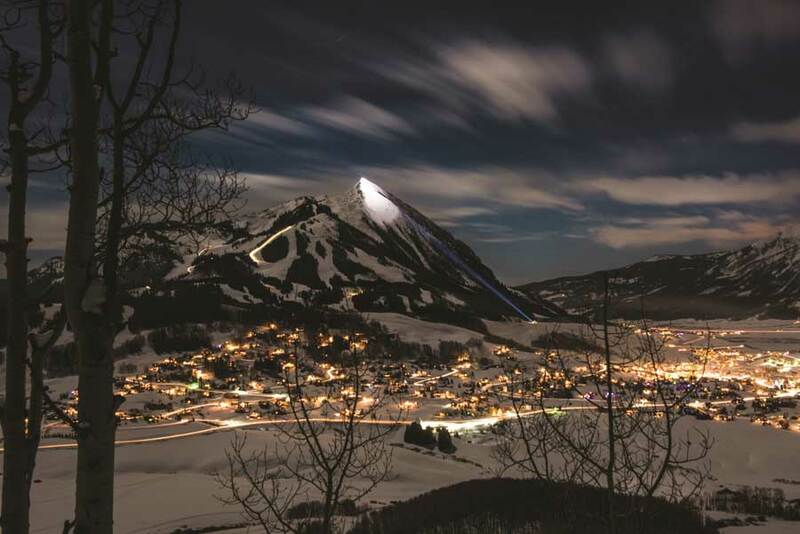 And for some serious inspiration, hit spring skiing here when Aspen hosts the world’s top men and women alpine skiers during the 2017 Audi FIS Ski World Cup Finals, March 15-17. It’s the first time the event has been held in the U.S. in 20 years. If you want to ski in style, make a beeline for Beaver Creek. This is just how things are done at this refined resort where visitors can live large, if even for a day. Everything is upscale here—lodging, dining, retail, guest services, even ski school—so relish the heated walkways, daily Champagne toasts and gourmet food. Heck, you can even purchase untouched powder an hour before the lifts open with White Glove First Tracks. Even the fastest downhillers in the world make an annual stop here for the classic Birds of Prey Men’s World Cup Weekend, starting Nov. 29. Are you getting the gist? Don’t let the perks overshadow the stellar terrain here, though. Earn those brownie points by adventuring to all types of steeps, deeps and terrain-park feats. When you find yourself wanting to luxuriate for another night in Beaver Creek bliss, check out the ski-in European-style The Pines Lodge, which this season gets a modern-mountain face-lift to complement a new lobby and award-winning restaurant. Breckenridge is big—five-peaks-in-one kind of big. But this 3,000-acre resort is filled with so many other full-size benefits, too—wildly diverse terrain, professional-grade terrain parks, town-to-mountain gondola service, a lively village, expansive ski and snowboard instruction, and more. The key to enjoying “Breck” is in the planning, as one day here will only scratch the snowy surface of this massive mountain scene. In fact, it couldn’t hurt to take a complimentary Mountain Orientation Tour, which leaves from the base of Peak 8 or Beaver Run on Peak 9 each morning promptly at 9:30 a.m.
Every season brings both visible and seamless upgrades here, and 2016-17 is no exception. The biggest is the opening of Pioneer Crossing, a nearly 500-seat restaurant featuring house-made salads to order and a Mediterranean-themed station, all framed by mountain views at Independence SuperChair on Peak 7. History runs deep as the snow at Cooper, one of the oldest ski resorts in the U.S. Colorado’s famed 10th Mountain Division soldiers cut some of the original training trails on Copper Hill. The high-alpine mountain is also partly defined by its tough-as-nails town, Leadville, which boasts its own mining lore. That’s just a hint at the character that comes with this intimate, local ski and snowboard area filled with pleasant people who prefer to bypass the masses and price tags sometimes associated with larger resorts. With plenty of forgiving green runs, it’s certainly a gentle place to learn to ski, but endless backcountry also beckons nearby through Cooper’s famous Chicago Ridge snowcat operation. A complete 25-kilometer Nordic center is also housed on the grounds. For an entirely new way to take a break, Cooper is unveiling a cozy mountaintop yurt lodge, with dining services and a big deck to savor the views. Another welcomed improvement comes in the form of a Pistenbully—a monstrous groomer that will smooth snow to perfection. I never really comprehended Copper’s old slogan “Where the skiers ski” until I realized it’s, well, totally true. This is one of those well-laid-out, easy- to-access mountains right off Interstate 70 that appeals to snowsports enthusiasts who just want to go play in the powder—and tackle the terrain parks. That’s not to say Copper doesn’t have stellar learner programs, or a hopping après-ski scene or excellent accommodations. It has all that and more in a refreshingly cohesive base-area layout. But the mountain, which graduates naturally in difficulty from west to east, brings together a plethora of big-mountain bowls that are, well, just made for skiing. Upgrades this snow season are all about food. All-new dining options include On the Rockies, a bar and entertainment spot at Center Village, specializing in craft Colorado whiskeys and craft beer plus a full menu of American fare, as well as Eagle BBQ, a hearty Colorado-themed eatery conveniently located in the Copper Junction building. Escapist skiing? Yes, please. You’ve got to turn off the main highways for a beautiful retreat in the indescribable mountains and towns of southwest Colorado. Crested Butte is one of the crown jewels in this neck of the woods, and its beauty is in its simplicity. This old Victorian mining town, like its people, never takes itself too seriously. On the other hand, skiing the local mountain is highly serious business on the resort’s notorious double-black-diamond “extreme limits” terrain. High up, down low and all around the mountain there are plenty of blue-run adventures and wide-open cruisers that mark the mountain for beginners and intermediates too. And, powder? Don’t get me started. Hit this place in a southern snowstorm and you’ll have a story to share for ages. 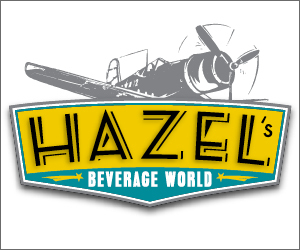 Both women and coffee lovers alike will have something to celebrate this season at the Butte. Coal Breaker Coffee, serving up espresso, made-to-order crêpes, breakfast sandwiches and hand-scooped ice cream, is opening at the base-area Treasury Center. And a new Women’s Tips Tuesdays half-day program pairs education from the town’s top female pros and an après-ski glass of wine. 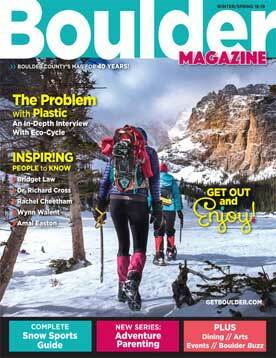 Residents of and visitors to Boulder County don’t have to go too far to dive into some downhill skiing. It’s all just up the hill (Boulder Canyon, that is) and through Nederland to our backyard bargain of a mountain—Eldora. At a friendly 680 acres, it’s easy to explore this resort and still get back to town for a nightcap. 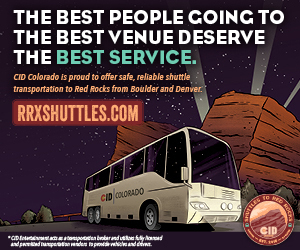 Other popular perks include Eldora’s Ski-n-Ride RTD bus service between Boulder and the base, free slopeside parking and Eldora’s coveted children’s programs and passes. And for cross-country ski fanatics, an expansive onsite Nordic center is the only place on the Front Range to play out that passion. With expansion plans still in the works, this everyman’s ski hill is upgrading where it can this season: some new runs on Indian Peaks, as well as improvements to both lodges, snowmaking equipment and guest Wi-Fi (for all you people who “work” on the mountain). Families flock to Keystone for everything from lessons on extensive learner terrain to the resort’s popular off-slope Kidtopia program. But those are just a few perks in a long list of amenities this resort in the heart of the I-70 mountain corridor follows through on each season. There are private family lessons, family ski and ride zones, wagons for toting gear, ice skating at the new pond in River Run Village, even a giant snow fort. Better yet? Kids 12 and under ski free when you stay two or more nights of lodging. Here it’s all about making getting to, on and around this sizable mountain—over 3,000 skiable acres—which makes it easier when you have more than just yourself in tow. 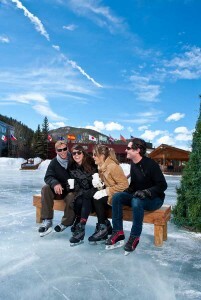 But it’s also an excellent destination for skiers and snowboarders who know exactly how they like to spend the day—perhaps riding in the award-winning A51, a 60-acre terrain park with over 100 features, or staying late and skiing under the stars at Keystone’s complete night-skiing operation, the largest in Colorado. Continuing to replace aging chairlifts, Loveland is reconfiguring the way skiers and riders get around this 1,800-acre mountain. New last season, the Ptarmigan Lift, which accesses terrain previously served by the upper portion of Lift 2, gives all levels of skiers—beginners, intermediates and experts—quicker access to the places they need to go. Just up the hill from the outdoor enclave Salida, Monarch Mountain has a reputation for catching some serious storms—and holding on to powder all season long. In fact, people drive from the Front Range to ski here for a single day, drawn to Monarch’s savory snow, sincere vibe, simple blueprint and traffic-free commute. 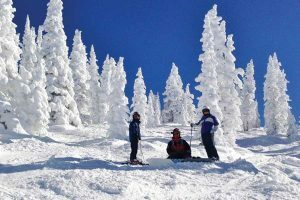 But there’s really something for everyone at this local peak, from intro-to-skiing programs to wild snowcat-accessed backcountry adventures—think trees, cliffs and bowls—in Gunnison National Forest. For the 2016-17 season, Monarch is adding something for folks who like to earn their turns: three designated uphill routes from the base to the top of the Continental Divide. Also new this season, an all-mountain system allows guests to reload ski products online, bypassing the ticket window. 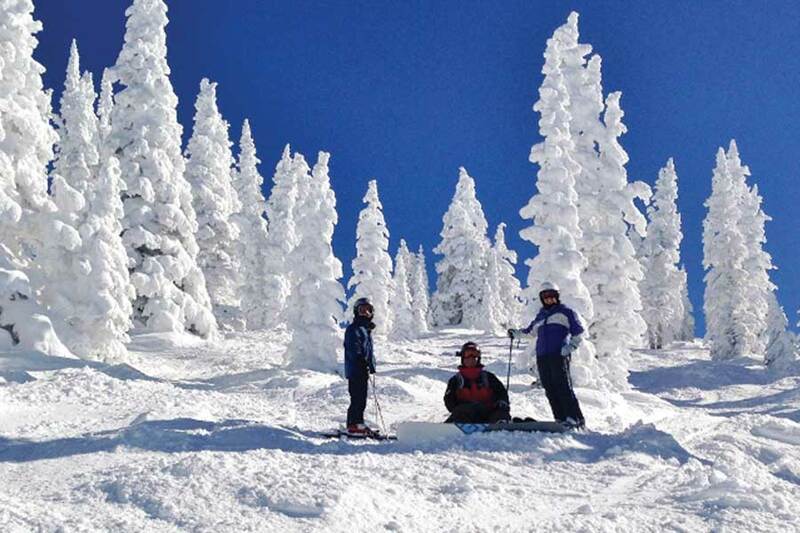 Tucked on the northern edge of western Colorado’s Grand Mesa, Powderhorn has made some noteworthy changes to take Grand Junction’s local, family-friendly ski hill well into the future. Building on what it already has—a compact medley of 70 percent beginner/intermediate terrain, gladed runs, groomers, bumps and boulder fields—Powderhorn is upping its year-round game with a bike park, new high-speed quad, night skiing, tubing hill, race series and more. But while capital improvements in time for the resort’s 50th anniversary have paved the way for a fuller mountain experience, what people have always loved about Powderhorn is still intact. The resort’s proximity to a temperate Western Slope city means if you’re so inclined, you can ski powder in the morning and still make it down the canyon for a round of golf or afternoon wine tasting. Down in the southwest corner of Colorado lies Purgatory Resort, near the no-nonsense former mining town of Durango and framed by the unspeakably beautiful San Juan Mountains. It’s a ski area steeped in history, with an unassuming ambiance that’s attracting more destination skiers. Of course, new ownership making major upgrades is also helping introduce new visitors to Purgatory’s famous “terraced” terrain on 88 trails and five terrain parks. Plus, alternative activities like dog sledding, tubing, cross-country skiing, ice climbing and snowmobiling (not to mention Durango’s “more restaurants per capita than San Francisco” claim to fame) keep guests coming back for more. Anyone visiting this ski area can look forward to a variety of improvements, from an expanded beginner area, redesigned tubing hill and rope-tow rework off the backside, to more snowmaking, technology enhancements and a new retail, rental and repair services shop in downtown. This backcountry bowl-style massif is a Colorado anomaly. Silverton is located on some extremely steep faces deep in the southwestern section of the state, where the snow dumps in feet and mountain adventure is just as thick. Silverton is an advanced- and expert-only experience designed to give destination snowsports enthusiasts a run for their money. These are monstrous, unfiltered, unforgiving mountains where every downhill turn, served by one lift or a guided helicopter drop, is undeniably earned. If you have the guts, you can go for the glory this season with one of four setups: reserve an unguided lift ticket for the day; pay for a resort guide to lead you to powder stashes and away from avalanches; get in a full-day helicopter drop session; or check out the New Year’s package with big bonuses for booking opening weekend. Also new: a custom helicopter basket for packing in more runs; a new fleet of rental skis with Marker demo bindings; and an upgraded place to stay in this vintage town—The Grand Imperial Hotel, which just had a massive renovation. One of Colorado’s newer offerings, Granby Ranch is a year-round outdoor-sports community near Winter Park—and just 90 minutes from the Front Range. Families and new skiers will find this mini mountain an ideal fit, with a straightforward layout where all runs funnel to a single base area; easy and affordable first-timer packages; and six “progression” terrain parks to practice new-found skills. Several even stay lit during Granby Ranch’s night skiing on Friday and Saturday. There are also two Nordic networks adjacent to the downhill area. For the 2016-17 winter season, a new groomer and snow guns will increase snowmaking by 100 acres, and the resort’s Grill restaurant unveils a brand-new menu. Authentic and original. Friendly and folksy. Uncompromisingly Western. Hip and happening. These are just some of the phrases that describe the eclectic wintertime scene in the town and on the mountain we know as Steamboat. At almost 3,000 acres, packed with some of the state’s most notable tree runs, the resort takes days, if not years, to discover—and that’s its appeal. There’s a reason over 80 Winter Olympians have made this diverse downhill playground home, along with the town’s iconic ski-jumping facility, Howelsen Hill. And the snow in northern Colorado? Well, it’s so superior, given the way mountains affect storms here, that it’s got its own brand: Champagne powder. Whether you’re headed to Aspen and want to make a stop or you’re making nearby Glenwood Springs your final destination, Sunlight Mountain Resort welcomes families and friends of all makes and kinds. Sunlight shines in all those areas that small ski areas (a manageable 700 acres) can: stress-free access, nonexistent lift lines, curated children’s programs and more. However the most original thing that Sunlight’s got going for it is a longtime partnership with Glenwood Springs, just 12 miles away. The sweet “Ski Swim Stay” deal lets you soak up staying in town, skiing at Sunlight and swimming in the world’s largest hot springs pool. There’s plenty in store for Sunlight’s 50th anniversary this season, but one refreshing upgrade for 2016-17 includes a fresh fleet of rental equipment—hundred of new skis, snowboards and boots, plus new high-precision tuning equipment. While some ski mountain towns would have a hard time selling a quote like, “An authentic big mountain experience that emotionally connects with your soul,” Telluride is the exception. Its backdrop—an eye-popping box canyon—is inspiration alone. Combine that million-dollar view with an old mining town gone mod—a wild mix of ski terrain (60 percent beginner and intermediate trails, three levels of terrain parks and four separate advanced hike-to areas); a free town-to-peak gondola; and some luxury lodging properties that continue to put this village on the map—and your soul may just sing. 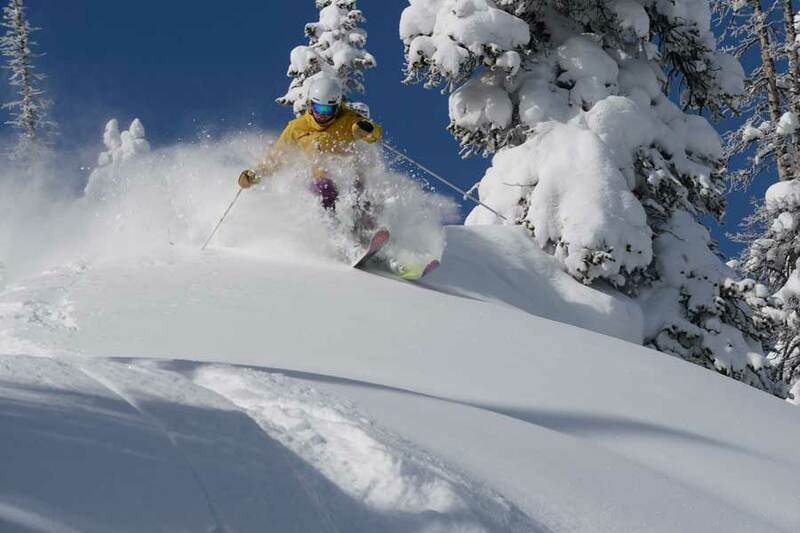 To celebrate 20 years in the ski business, the resort will stage a series of festivities. This season there are also new flight options; enhanced snowmaking; elevated Italian food at Altezza; and new free family fun after the lifts close. Vail is a universe unto itself. A European-styled village filled with upscale shops, entertainment, culinary delights, nightlife, spas and lavish lodging blends seamlessly into a massive mountain full of surprises. It’s a place immersed in rich history yet fully focused on the future of skiing for the next generation. Vail’s renowned back bowls are worth exploring, as is wide-open Blue Sky Basin, not to mention the rambling front-side, filled with a dizzying maze of trails, many accessible from the continent’s fastest 10-passenger gondola. Get to intermediate and advanced terrain in the back bowls even faster this season with the new four-passenger, high-speed Sun Up Express lift, which will cut ride times in half. Winter Park is a nostalgic kind of place. Owned by the City of Denver since its historic 1940 opening, these community slopes are where many Front Range residents grew up skiing and riding—and perpetuated the tradition. But whether you’re part of the resort’s longtime learning or racing programs, or prefer to find adventure independently on the storied adjacent slopes of mogul-maker Mary Jane, there’s something for every type of skier at this more than 3,000-acre winter wonderland. To make things easier to navigate, Winter Park now delineates by seven marked “territories” across the mountain, ranging from outer bowls to inner terrain parks. In keeping with Winter Park’s enduring legacy, this season Coloradans are cheering the return of the Winter Park Express ski train, which provides passenger rail service from Denver’s Union Station to the slopes of Winter Park beginning Saturday, Jan. 7. If there’s one thing synonymous with Wolf Creek it’s the white stuff. Lots of it. When the state’s southern weather patterns amp up, they usually find their way to Wolf Creek, where they dump powder that’s indeed epic. While you’ll need to plan a road trip from Boulder County to Wolf Creek, the trip is worth it to experience this low-density, family-owned, locally loved mountain near the town of Pagosa Springs. The local hot springs are just one added benefit. Others include slope-front parking; reasonably priced lift tickets and food; numerous hike-to terrain options; and even a network of cross-country ski trails. There’s lots of new stuff this season: the Lynx Lift links the existing base area to a new teaching area; new demos, sport and standard models from some of the best manufacturers in the industry; improvements at base-area buildings; and upgrades to food and beverage point-of-sale spots and the online reservation system.